2 Houses for sale in 8 hectares of riverside land. Comprising 3 bedroomed 3 storey house plus 2 bedroom converted Mill. Both were part of a large flour mill site of 3 mills plus master's house which closed circa 1950. 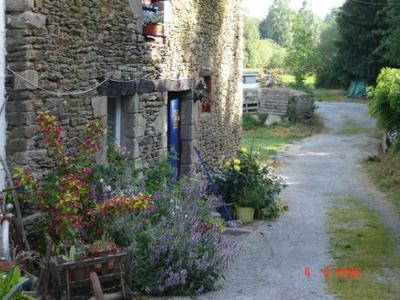 Owner is struggling to maintain the properties and land now but successfully ran as Gite business for 18 years. Includes in ground fully Italian tiled pool with heater and cover. This property is close to Ploermel and Josselin and road networks making it ideal for a number of business ventures, subject to permissions.